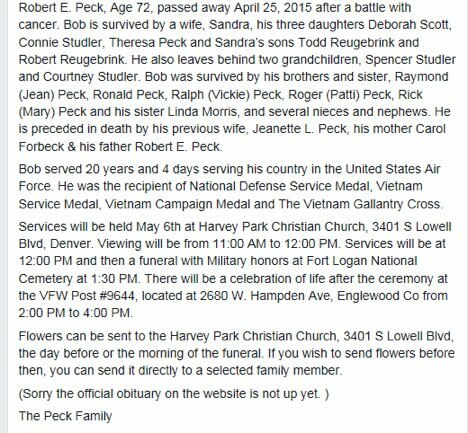 I just received this information this evening on the death of Bob Peck, and am passing this along to the RMLRA family and friends of Bob Peck. Bob raced many years with us and held the position of vice-president when the RMLRA was formed. Bob helped sponsor Wayne Barlock’s championship season last year and will be missed. Our condolences go out to the family. Rest in peace Bob.